HOW MUCH DOES A TERABYTE OF SAP DATA COST? And Why You Should Archive It! More data has been created in the past two years than in the entire history of the human race!” according to a Forbes, 2015 article. What are you doing to manage your data? “Data is growing faster than ever before, and by the year 2020, about 1.7 megabytes of new information will be created every second for every human being on the planet.” according to the same Forbes article. A book the size of “War and Peace” published 7 billion times every second! 150 YouTube Videos produced every hour by ONE person. And Big Data will continue to grow exponentially. Data is a challenge and the cost of managing data increases annually. Yes, the cost per terabyte of storing data is going down – SANs, Cloud, Data Farms, etc., but the overall cost to create, capture, store, and maintain is going up – regardless of the ERP Application: ECC, Analytics, CRM or other mission critical applications. Is “Now” the right time to address your Data Management and Archiving Strategy? Or do you wait until the problem has grown into a full-blown project? 1 – Data Volume is the primary predictor of time for processing an upgrade – more data, more time to convert. 2 – Data Quality is critical in your upgrade – more data, more difficult to ensure data quality. We reminded him that they pay a premium for the in-memory HANA DB, reducing the data would reduce their license fees. The payback for reducing the data footprint could realize a payback in 12 months or less in license fees and infrastructure costs. What is the cost of a Terabyte of ERP data these days? An efficient data management strategy is scalable, long-term, and reduces costs. Live, hot data costs a lot more – exponentially more – for the care and feeding of live data. Retired, cold, archived data is still available near-line which reduces your infrastructure costs. How long do you really need to keep your data online? We often hear that a company has a requirement to keep seven years of data. While this may or may not be the requirement, typically, you do not need to keep it hot and online in a live database. An efficient strategy keeps the data for a year or two after the transaction or data is complete; no further adjustments and closed. Business requirements are often the reason for not archiving the data. Many SAP customers, too many to count, have not archived a single kb. The reason, “Finance needs this data for audits” or “Operations relies upon this data for scheduling.” Whatever the reason, data can be taken offline and stored after about two years. One of our clients found the value of archiving after an IRS audit. There is a misconception on how long to keep data on the live system. The seven-year rule drives most company’s strategies. However, retaining data this long can expose you to additional risk in an audit. They realized that having data accessible in your systems allows it to be discoverable in an audit or legal action? Why leave a door open if there is no need too? Large data volumes take time to query. Most standard and custom ECC reports only look back one year, at the most two years. The system, however, still must read all records to generate the output and often uses secondary indexes to retrieve the data. Some bad habits start forming due to the extended time it takes to retrieve the data. You see an increase in spreadsheets and other desktop apps for downloaded data. These bad habits are linked to long run-times for reports and add to the business risk. An additional benefit to Data Management and Archiving Assessment updates your current policies on data lifecycle management. Users that participate in the Assessment gain a better understanding of the value of the data and the data lifecycle. Many of our customers prefer to keep Data Management and Archiving as a process, not a project. Do you have a Data Management and Archiving Strategy that needs a dusting-off, or do you need a Strategy in place before it becomes a full-blown project? 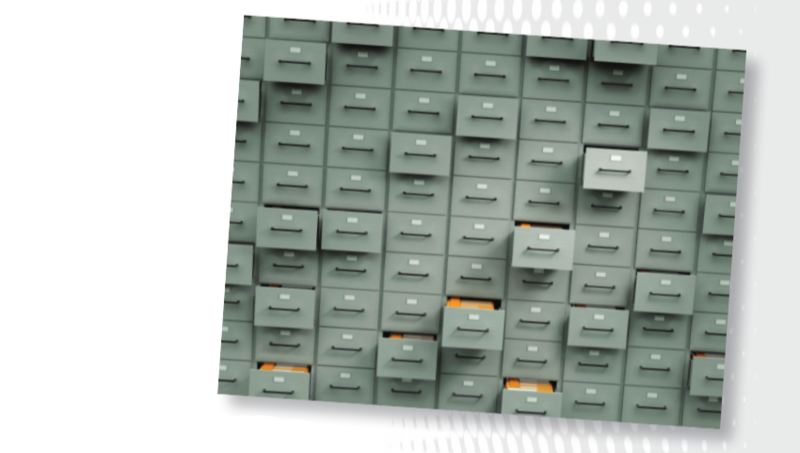 Titan’s Data Management and Archiving Assessment provides a roadmap for your data management requirements as well as the ‘Quick Hits’ needed to achieve ‘quick’ results. Contact Mark Vasinda, mvasinda@titanconsulting.net, 972.977.3100; or your Titan Consulting Sales Director.